AMS Instrumentation and Calibration has introduced a new flow switch designed to provide a reliable solution for relief valve leak monitoring. AMS Instrumentation and Calibration has announced that it now stocks the new 3070 series double block and bleed valves manufactured by NOSHOK. These double block and bleed valves have been designed with redundant isolation valves and a dedicated vent valve to ensure additional safety in hazardous media applications. 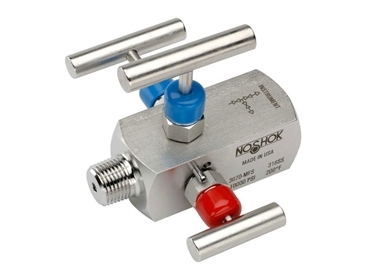 NOSHOK 3070 Series double block and bleed valves have a 700 Bar hard seat pressure rating @ 95°C. 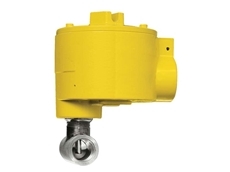 The block valve isolates the downstream process fluids, while the bleed valve exhausts upstream fluids enabling instruments to be removed without disturbing the permanent piping installation on the bottom. The 1/4" NPT vent plug is located 90° to the left and may be removed and replaced with exhaust piping to direct the fluids or gases to a safe location. 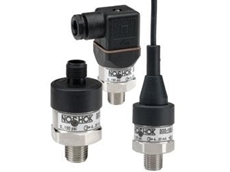 All NOSHOK valves are 100% helium leak tested to 1 x 10-4 ml/s for guaranteed performance and reliability. a vinyl dust cap for bonnet and stem (non-packing).